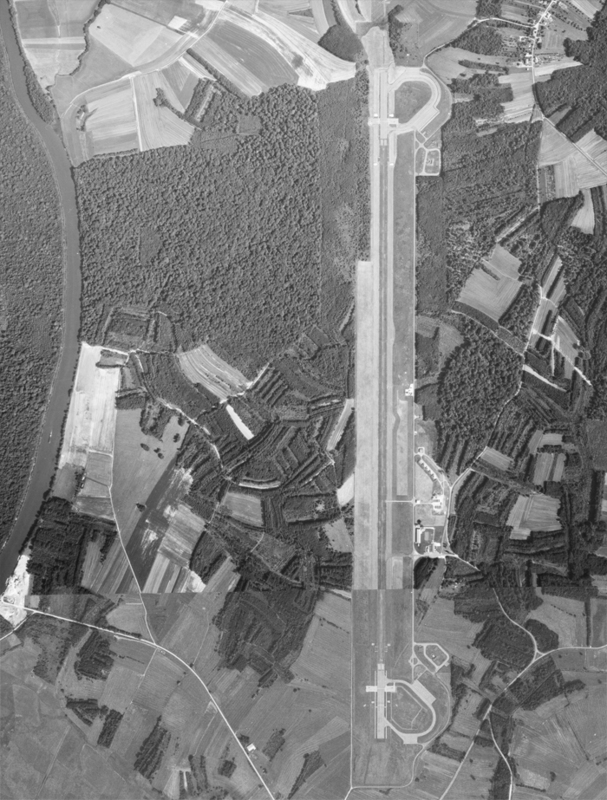 Broye-les-pesmes airfield (French: Base Aérienne de Broye-les-pesmes, ICAO: LFYH) was an airfield 290 kilometers east-southeast of Paris. 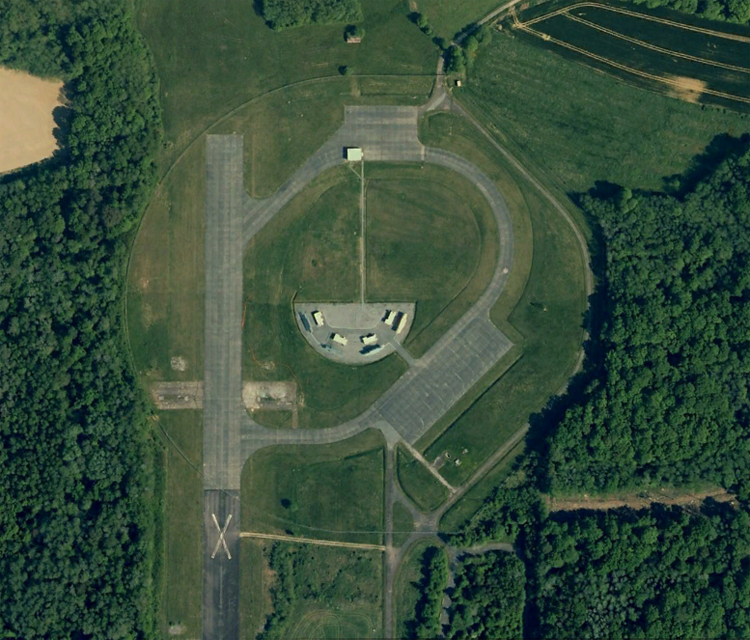 The air base was built in 1959 as a NATO dispersed air base. 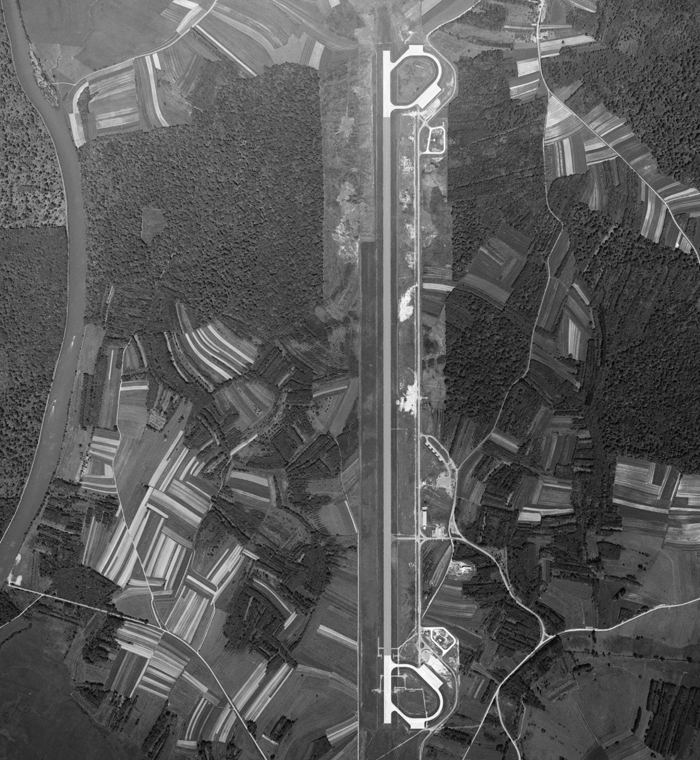 After NATO's withdrawal from France in 1967, it continued to serve as a backup base for the largest French air base, Base Aèrienne 102 at Dijon. Since about 1990, this place has been in use by the French army. After 15 years of development and building, the transmitter of the bistatic Graves Radar System became operational on the north side of the airfield in November 2005. GRAVES (Grand Réseau Adapté à la Veille Spatiale) is a radar system designed to monitor space-debris, meteors and artificial satelites. Its receiver is located 370 kilometer to the south. 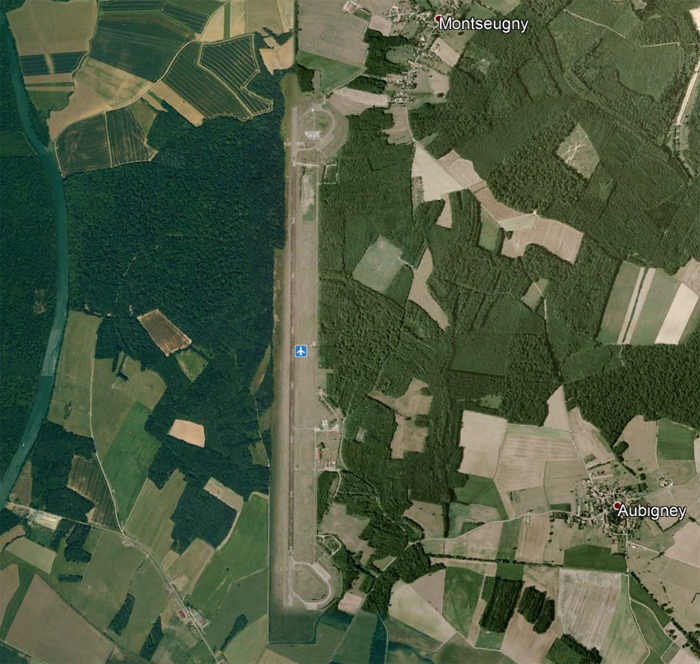 In this 2006 photo, large X-markings can be seen on the runway since 5 January 1998 when the airfield was officialy closed (Google Earth).